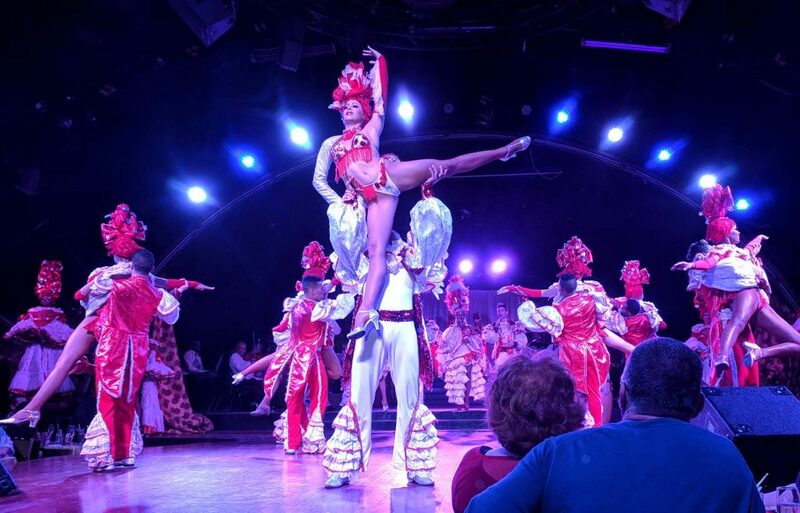 For many people dropping into Havana, visiting the iconic Tropicana Club is something at the very top of their lists to see and do. 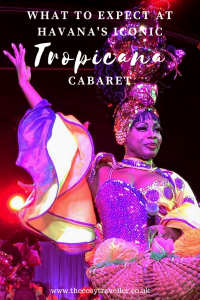 The Tropicana has been an intrinsic part of Cuban nightlife since it opened way back in 1939; in its 80-odd year history, the club has attracted celebrities, American mobsters and tourists in their droves, from Nat King Cole to Elizabeth Taylor and Marlon Brando. I’m usually of the opinion that if you’re going to do something once, you should do it right. So I picked up the premium $115 tickets, thinking that the convenience of having a meal at the venue before the night kicked off would justify the extortionate price. At the time of booking (in November 2017), the premium ticket also included a ‘souvenir photo’ which we didn’t actually receive. Glad to see it’s been removed from their list! It does mean, though, that the only difference between a ‘standard’ and ‘premium’ ticket (both without dinner), is that you get a ‘preferential table’ nearer to the stage. If I went again, I definitely wouldn’t worry about getting ‘preferential’ tables. It was such a small venue and dancers often wander into the audience so I feel like you’d be absorbed into the atmosphere no matter where you sat. 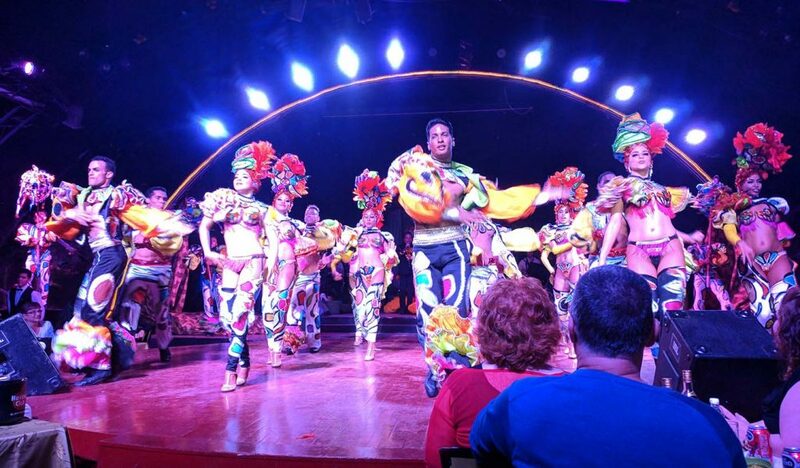 The Tropicana club is a little out of the city centre – a 24-minute drive from El Capitolio/Old Havana according to Google Maps – so we hopped into a cab to take us to the front door. We made sure to put a bit of effort into what we wore as the club has a strict formal dress rule. It’s a little hard to see, but I wore this dress from Sistaglam, with a black cardigan over the top as the Cuban evenings can get a little chilly. We were shown to our table in the (pretty empty) restaurant, with waves of live music wafting over from inside the venue. While nice, it worried us a little that we were going to miss the main event. However, the food arrived quickly, with barely a wait between each course. After picking at our meals, we entered the main arena to take our seats. The Tropicana generally takes place outside, but on rainy days they have a contingency plan up their sleeve in the form of an indoor air-conditioned room made up of glass arches. On the day we visited, they’d set up the tables inside as rain was forecast. We were seated around a table close to the stage along with several other people from different countries. We said hello, but because we’re socially awkward Ian and I mainly just burrowed our heads into the rum and Coke that was placed on our table in front of us. While this was all going on, there was a small band up on stage, made up of violinists, a keyboardist and a guitarist. As you can probably tell from the picture below, it wasn’t the most overwhelmingly enthusiastic performance we’d ever seen. I think at one point I said to Ian that it looked like they were being forced to play against their will, such was the lack of smiles on stage! After a while, the band shuffled off stage ready for the main event to begin. 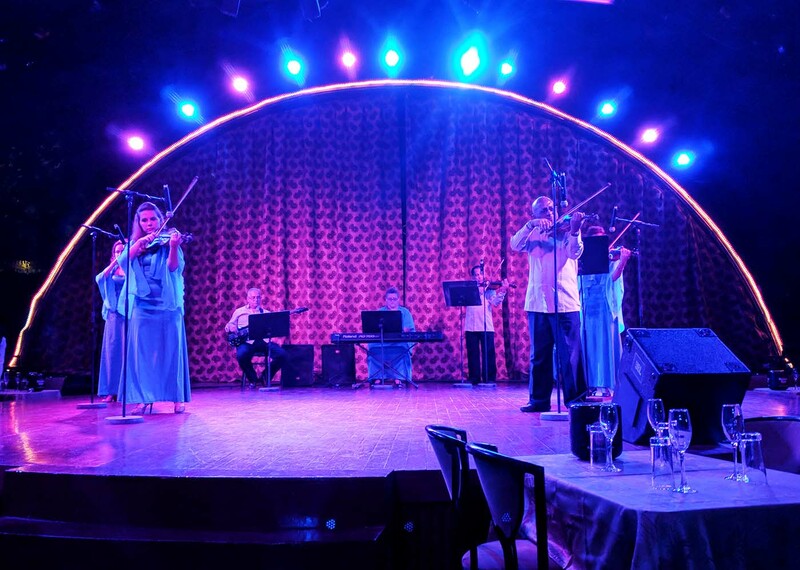 The cabaret itself was absolutely incredible. 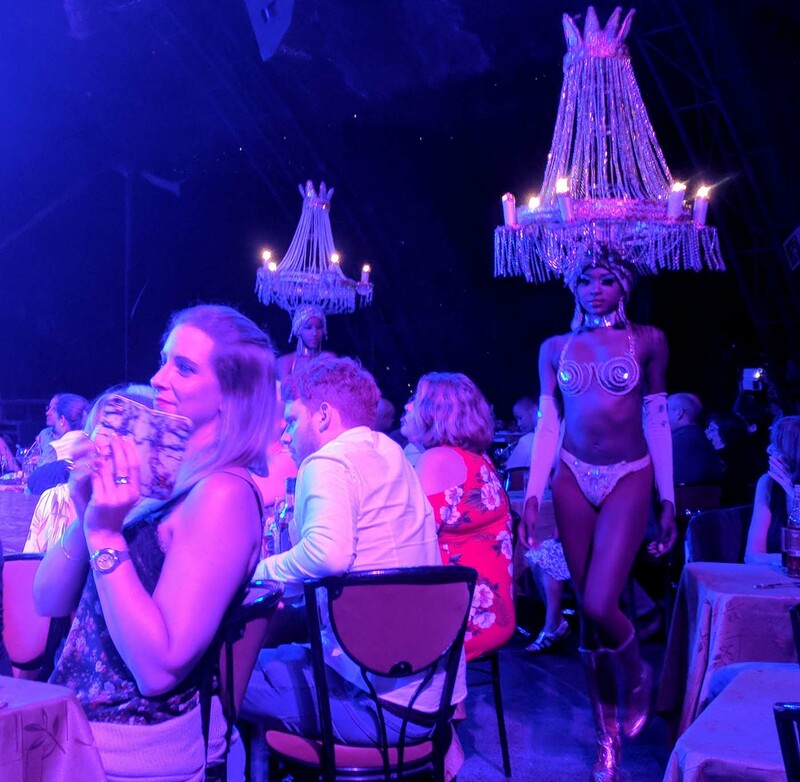 I was worried it was going to verge on the side of cheesy (…I’ve had some really bad experiences in the past that have almost put me off cabaret shows), but the spectacular performances, the insanely detailed costumes and the music all proved this is a high-class, top quality show. 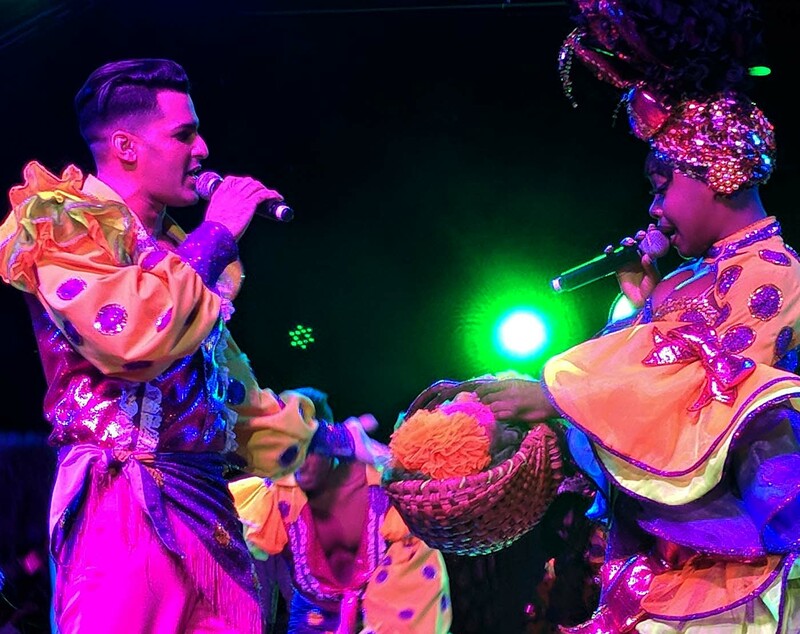 Not only was there the high-energy, fast-paced Caribbean music that you associate with Cuba and the Caribbean, but there was also a real mix of slower tempo performances, and dancers creating the music with their own stomps, claps and voices. I’ll let the following pictures give you an idea of just what to expect! 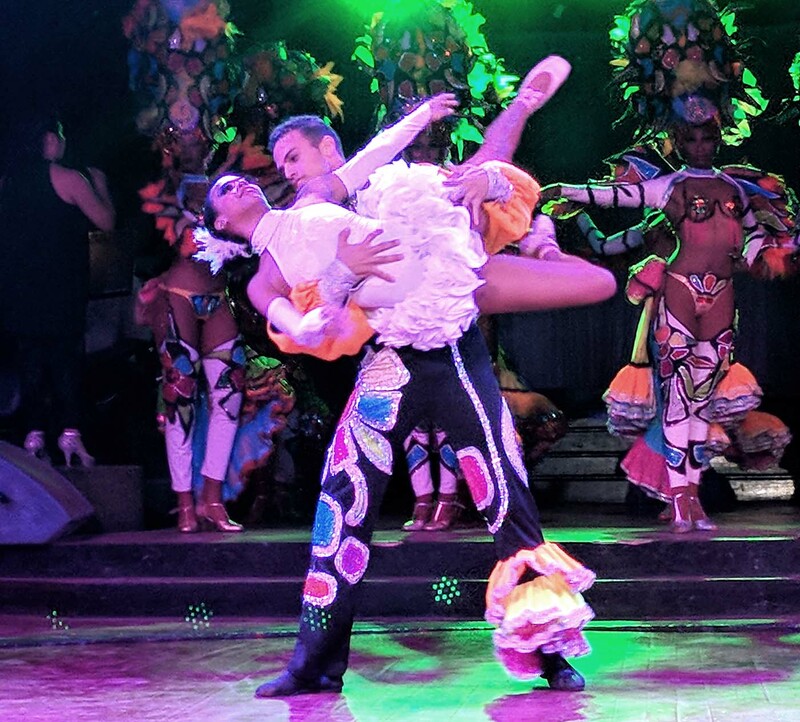 It’s not just dancing, though – it’s an all-dancing, all-singing, all-acrobatic extravaganza. I was in awe at the stamina of some of the dancers up there on stage, flinging themselves around with ease and poise. It was like an episode of Strictly Come Dancing – just 20,000x better and more sparkly. There was even a rollerskating duo who performed some daredevil stunts on the tiny stage! And I can’t not mention the costumes – such as these diamond-encrusted chandeliers worn as headpieces! The dancers came out into the audience towards the end of the performance to get everyone into the dancing spirit. After our half a bottle of rum, it was more than easy to fall into bopping along to the rhythm of the music in our seats. 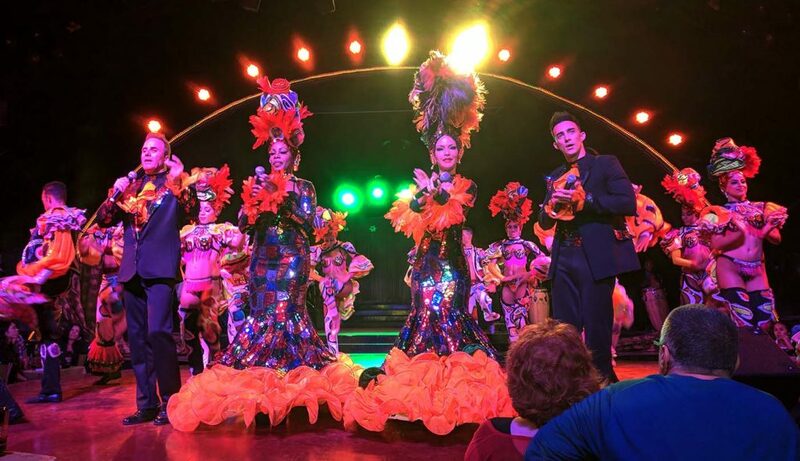 Once the show had ended, the audience was invited up on stage to learn some moves and dance the night away. Unfortunately, we had already arranged with our taxi driver to pick us up after the show had ended (he knew the exact time/place to pick us up, so I’m pretty sure he’s a dab hand at this…). While I regret not having the opportunity to stick around for a bit longer, it was reassuring to have already worked out how we were going to be getting back to our Airbnb. Is it Worth Going to Tropicana? 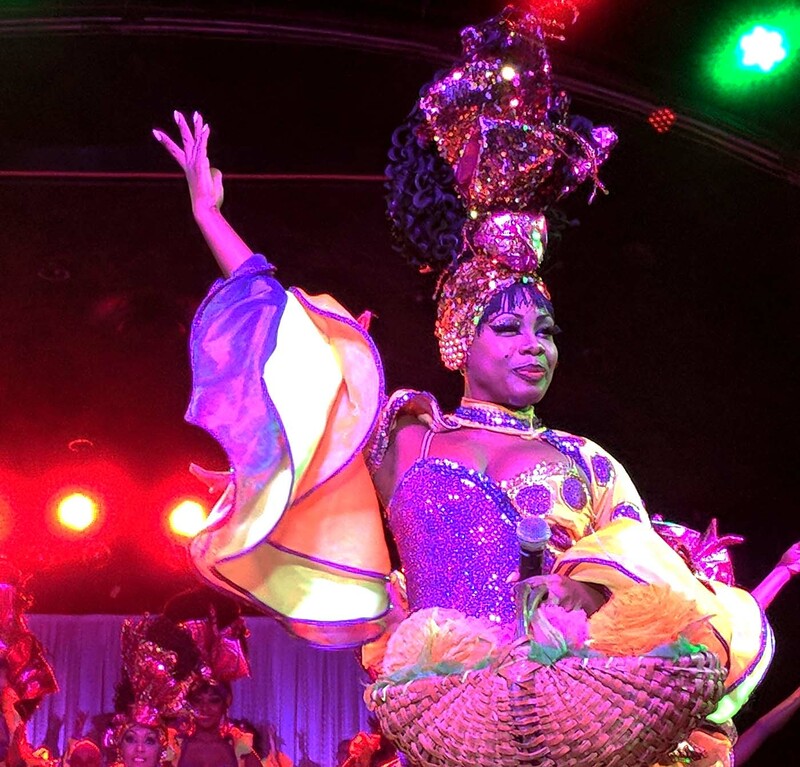 Should you make the effort to go to Tropicana when you’re in Havana? 100% yes. Should you pay $115 for top-price tickets? …I’d have to say probably not. My advice would be to avoid eating at the Tropicana and pay for standard tickets only. No matter where you sit you’ll get a good view, and the show does it best to sweep everyone up into the spirit of the performances. 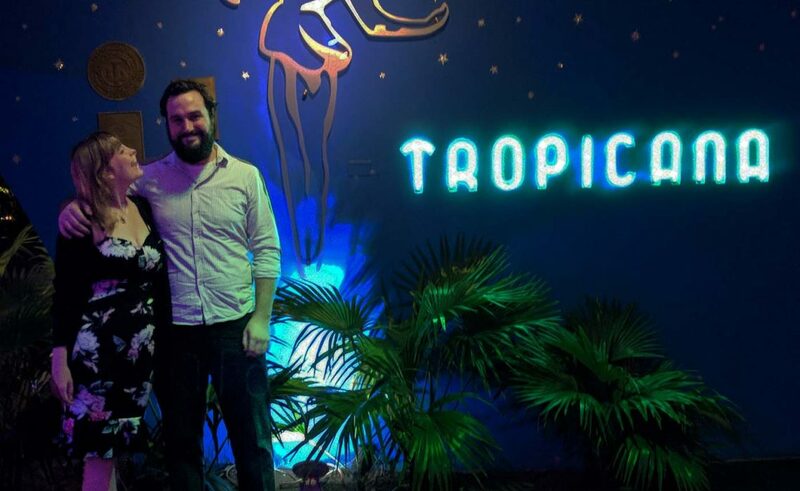 If you’ve been to Tropicana, would you recommend it? Or would you go if you were to visit Cuba? Let me know in the comments below! We um’d and ah’d about whether or not to go here for ages before we went to Havana. In the end, having seen mixed reviews and the crazy ticket price we decided to pass. Sounds like the show was fun though, glad you enjoyed that! 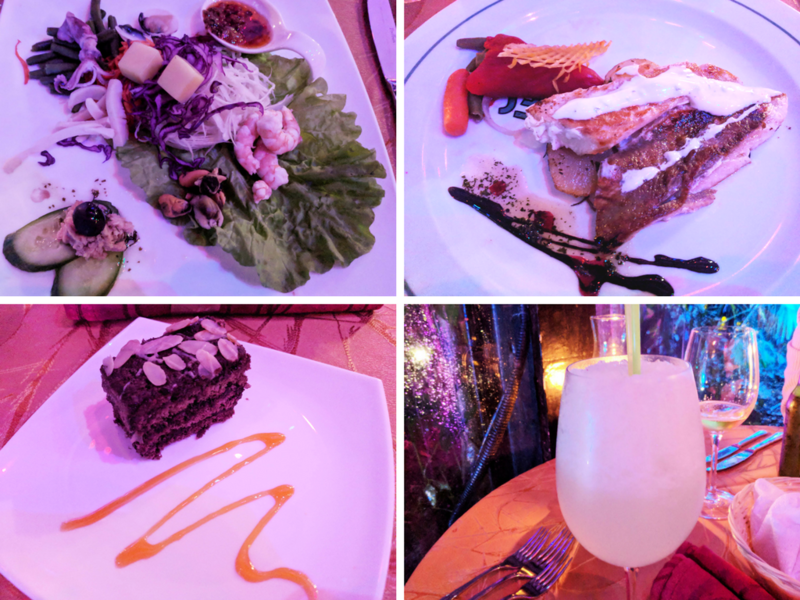 I would have totally skipped the meal if we had booked, from experience those packages usually involve a disappointing dinner! 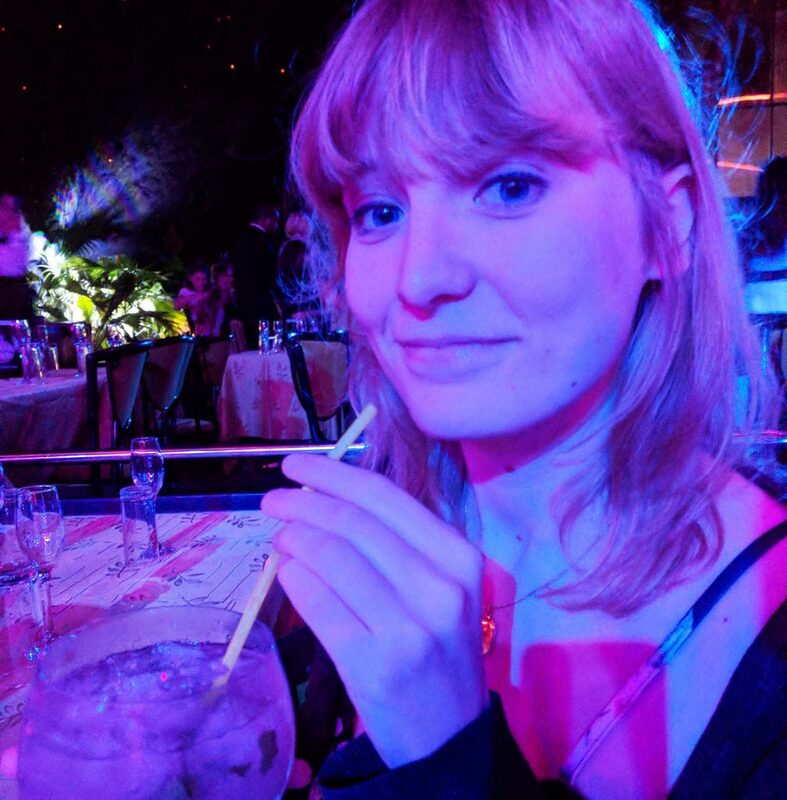 In the end we decided not to both because neither of us like rum – I felt a bit awkward about having to turn it down all the time lol. This is SUCH a helpful post Emily!